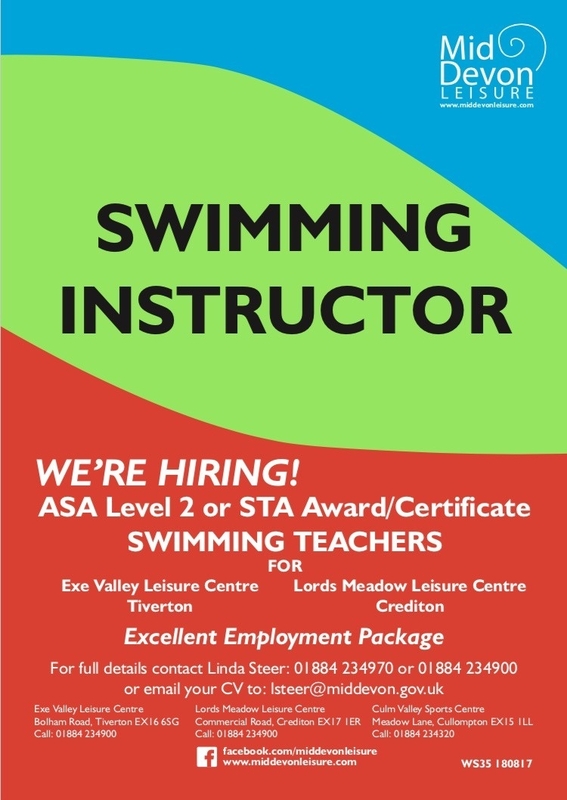 Mid Devon leisure are hiring a ASA level 2 or STA award/certificate swimming teachers for their Exe valley leisure centre in Tiverton and Lords Meadow Leisure centre in Crediton. 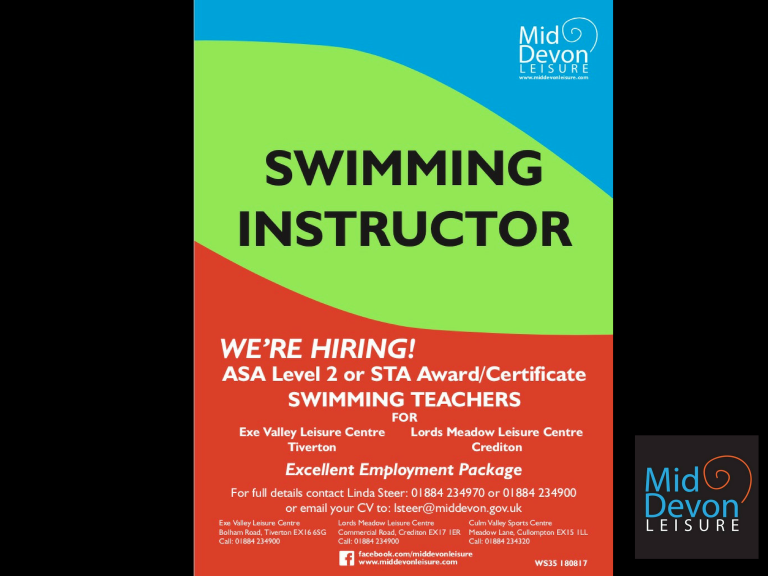 Mid Devon Leisure will provide an excellent employment package or the right candidates. Why not check out this Leisure Centres business in Exeter. 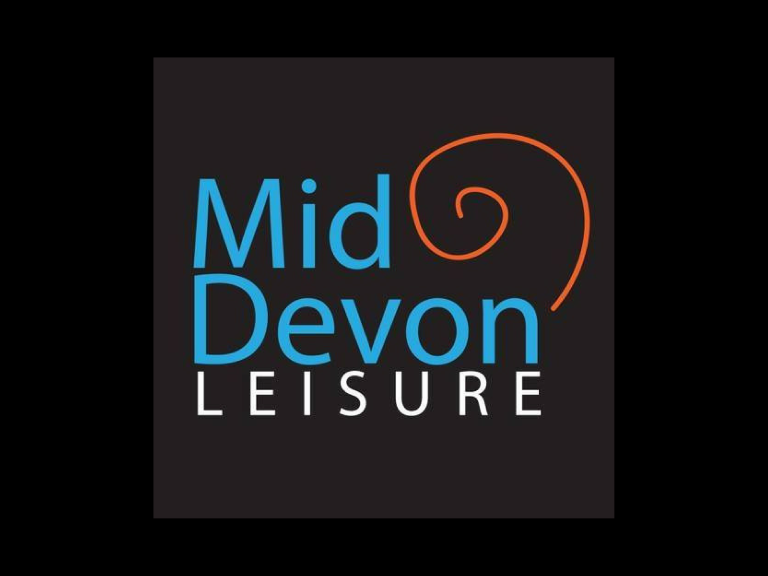 Mid Devon Leisure is a 'thebestof' business member.